Here it is!!! 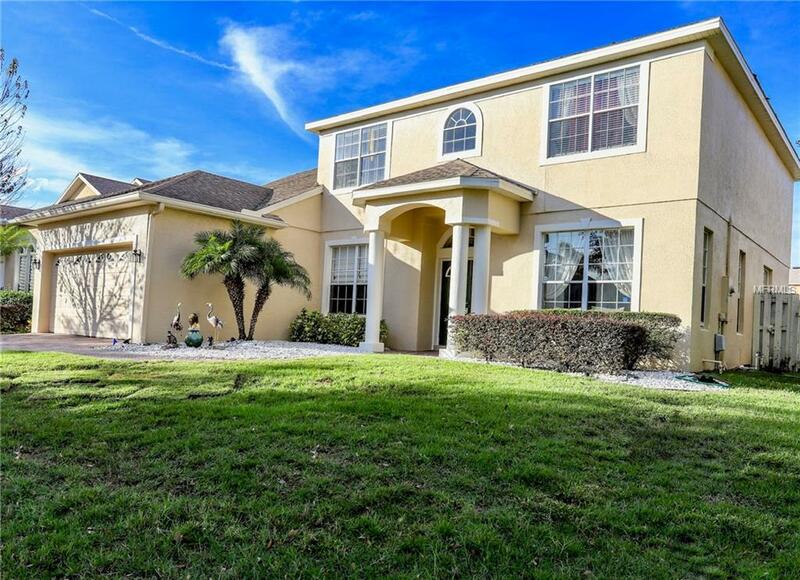 Don't Miss This Opportunity to See This Perfectly Spacious 2 Story Home Which Includes a Formal Living Room/Dining Room, Large Kitchen with Stainless Steel Appliances and Breakfast Area Overlooking the Family Room. Recently Upgraded Cabinets in this Beautiful Kitchen, and Open Floor Plan Perfect for Family Gatherings. Downstairs also features a Guest Suite with its Own Bathroom. Upstairs you have 4 Bedrooms including the Spacious Master Bedroom complete with Garden Tub, Separate Shower, Dual Sinks and TWO Huge Walk-in Closets. Walk out the Back Door to a Serene Landscaped Backyard, Featuring a Sparkling Swimming Pool and Large Built in Pavered Patio for Entertainment!! The Location is Perfect!! Only 2 minutes to Publix, Walgreens, CVS & Several Great Restaurants. It's also only minutes from Orlando International Airport, Lake Nona, Medical City, 528, 417,408, Nemours Hospital, VA Hospital, Flight Safety Training Center, SimCom Training Center, Florida Mall and 30 minutes to Disney, Universal Studios and Lockheed Martin. This Home WILL SELL FAST! Book Your Showing Today!